It’s time to bring the national flag out of your closet, roll out the barbecue and invite over your friends and relatives. Yes, it is time again to observe Memorial Day - the all-American holiday that honours the sacrifice of the countless soldiers who have laid their lives down to protect the freedom of their nation. 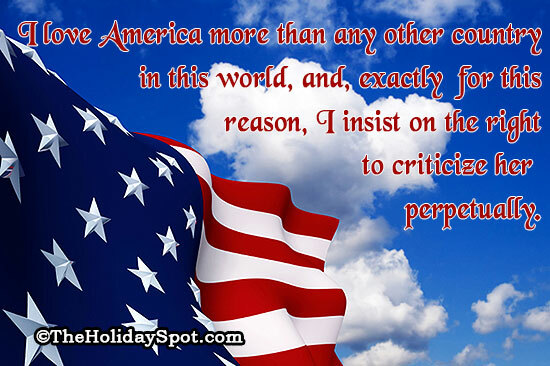 TheHolidaySpot brings you a clutch of unforgettable utterances by famous people from the pages of time that you will find worth reading on Memorial Day. 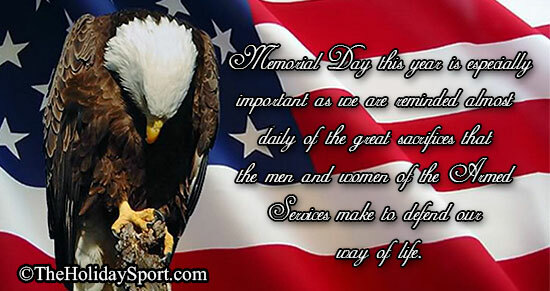 If you enjoy reading out these beautiful Memorial Day Quotes, click here and refer this page to your friends and dear ones. 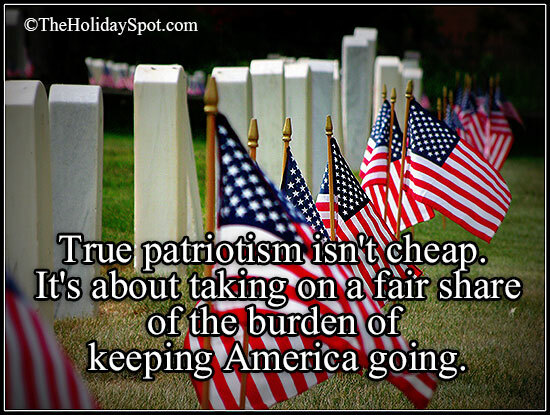 Share the spirit of Memorial Day with all you know. Have a happy reading time! Go through these memorable sayings on war, freedom and the sacrifice of soldiers by some of the highly renowned personalities around the world. ~ General George S. Patton.